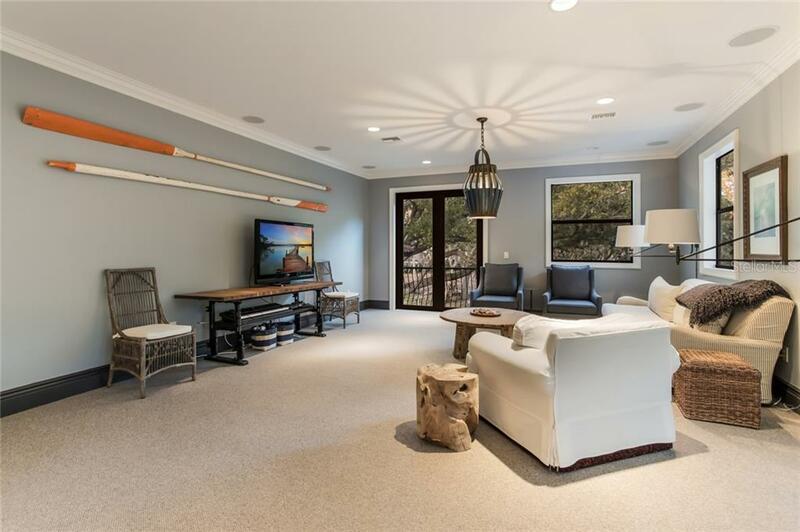 Ask a question about 1509 S Lodge Dr, or schedule a tour. 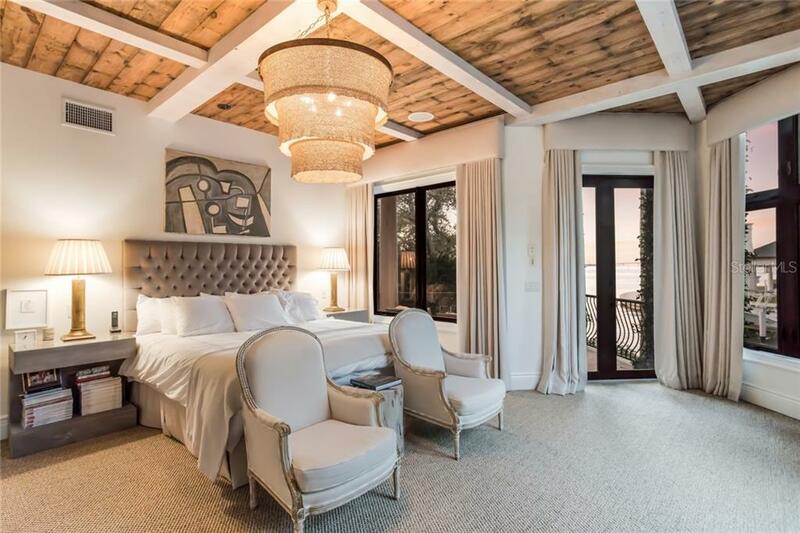 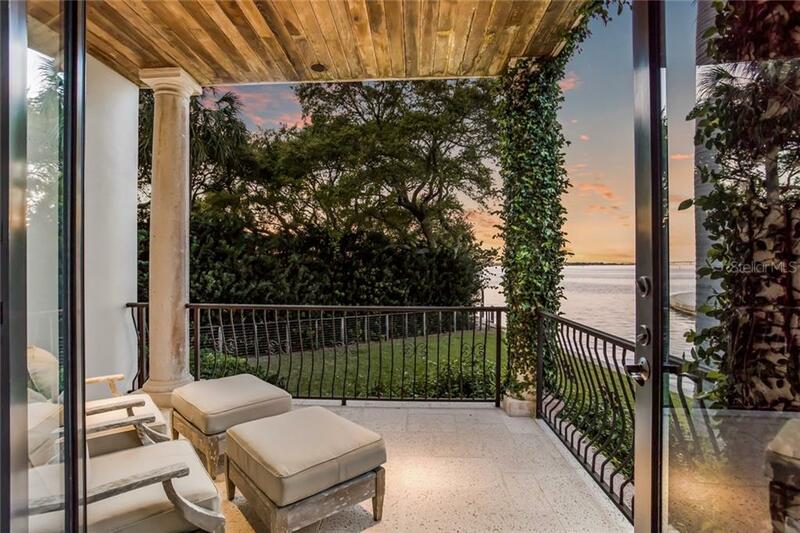 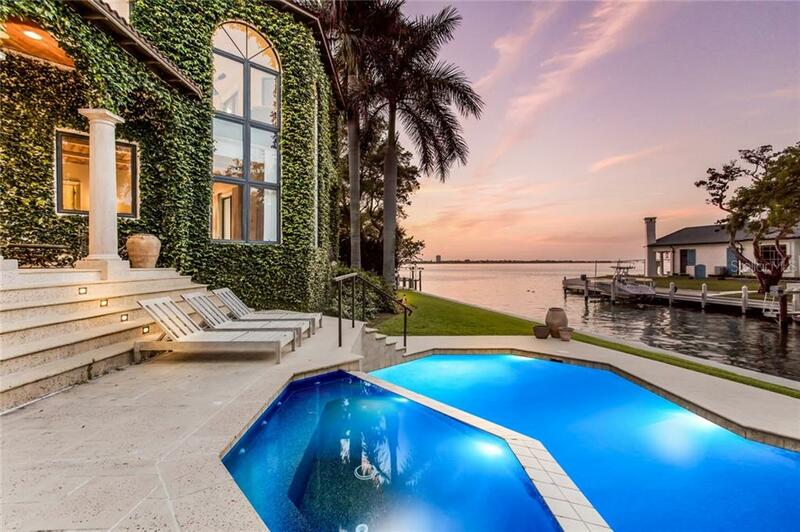 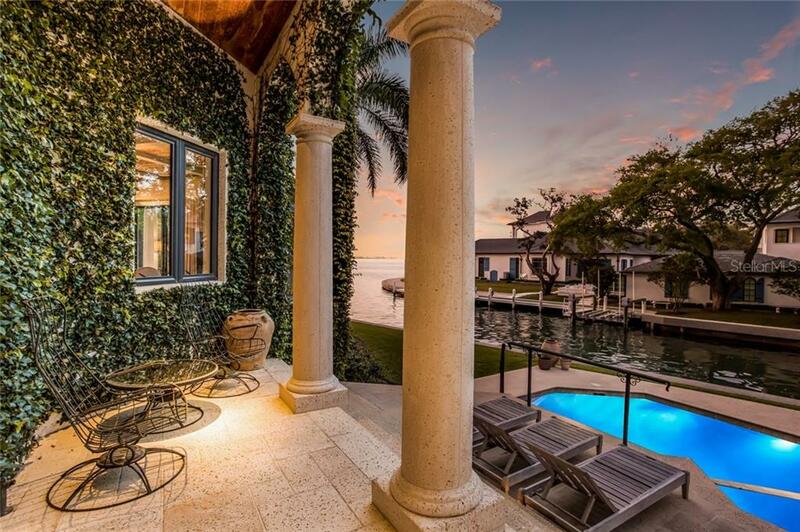 The spectacular location of this waterfront home is quite unique. 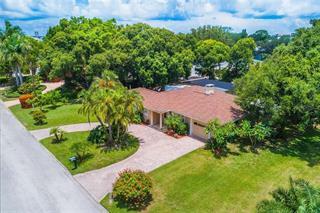 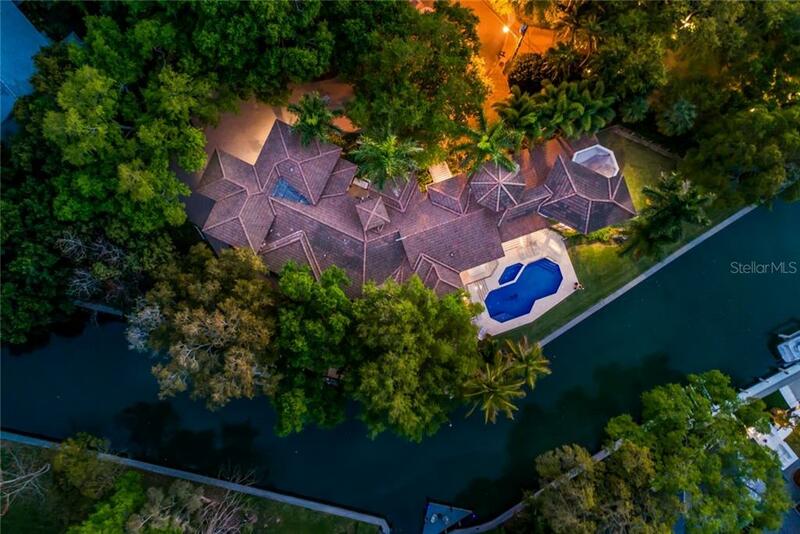 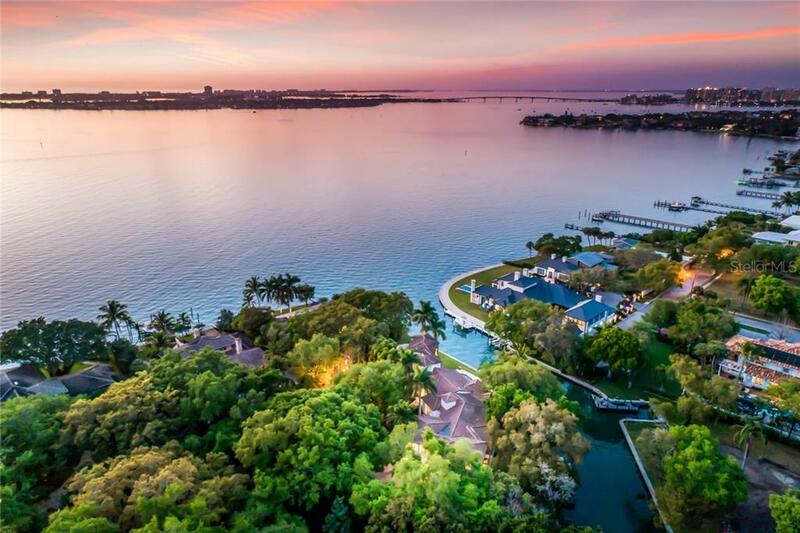 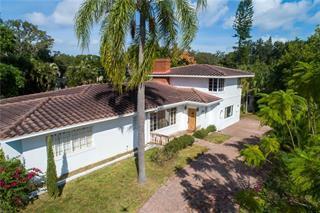 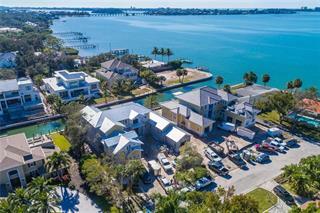 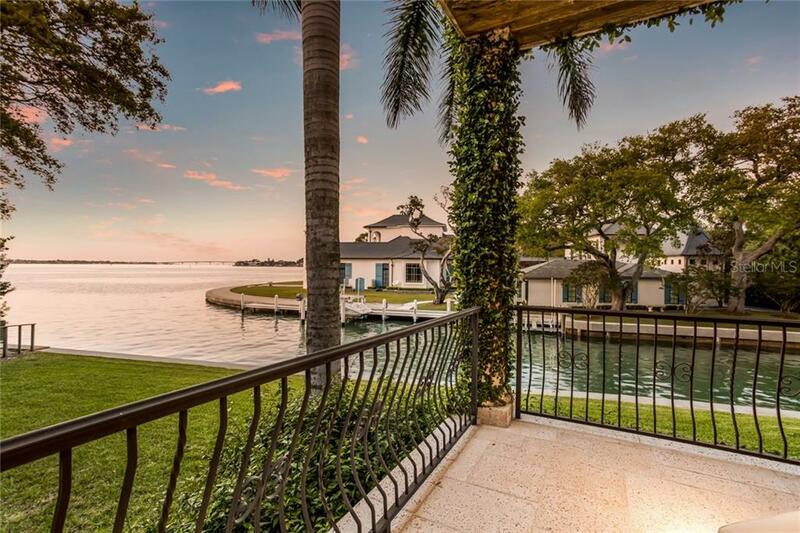 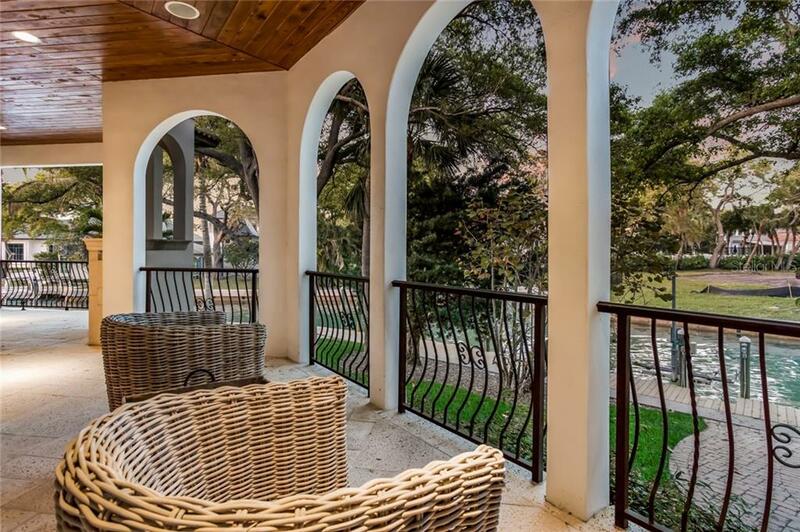 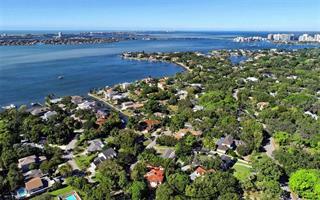 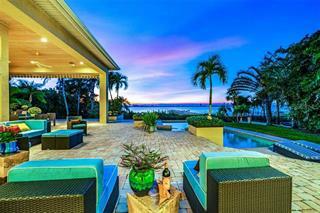 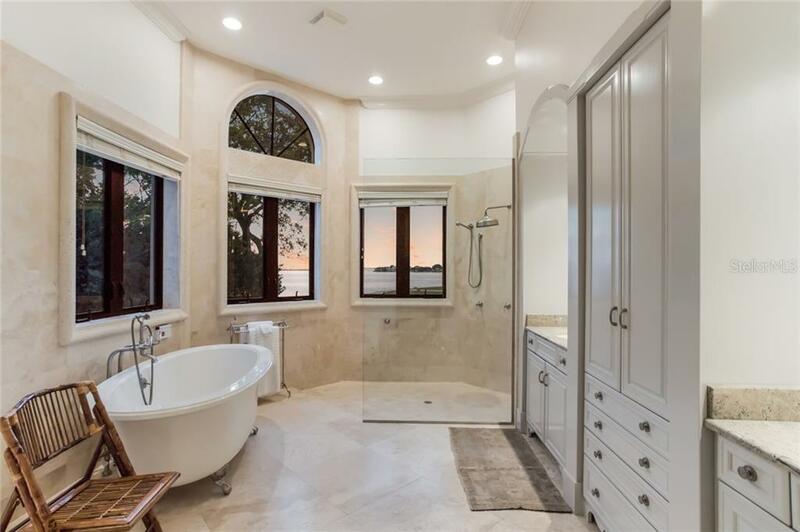 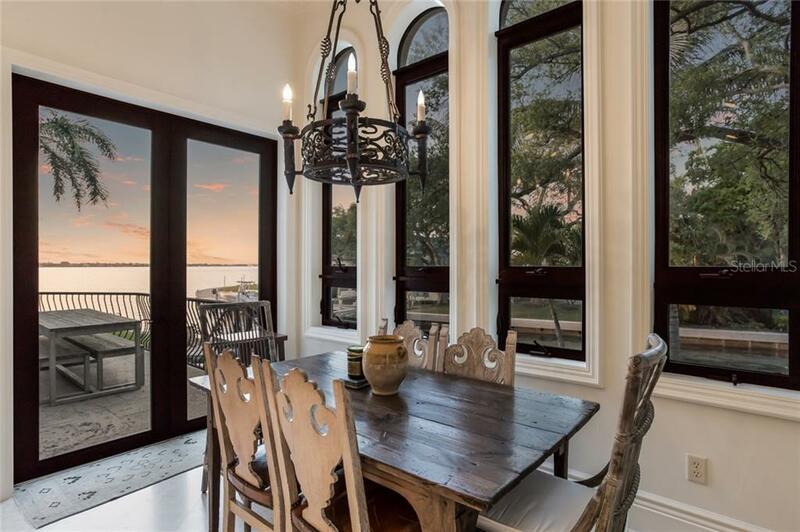 Resting on nearly 2/3-acre of property at the end of a quiet cul-de-sac, just one parcel in from the point-lot location that overlooks Sarasota Bay. 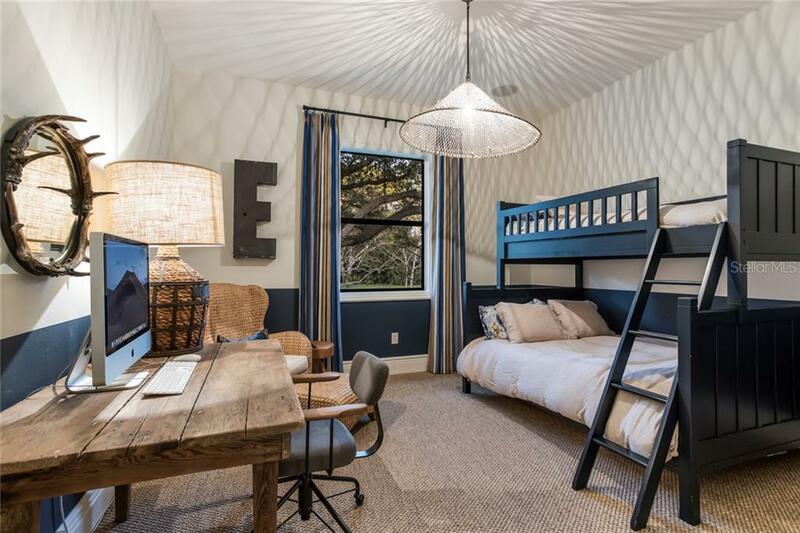 There are aspects at... more. 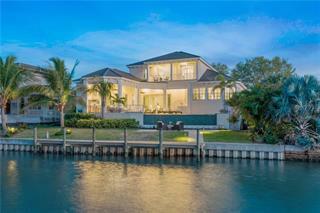 this custom-built residence for the entire family to enjoy. 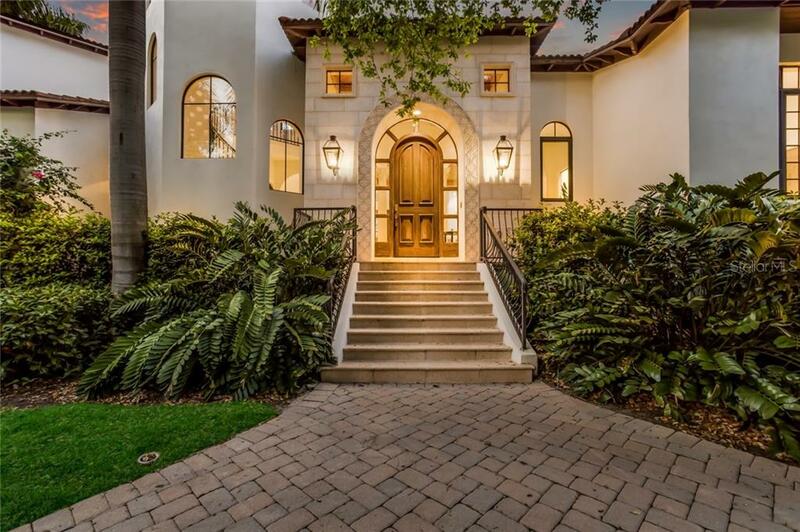 Soaring oak trees and lush, manicured foliage surround the property, with exterior walls accented by vines of ivory that add a wonderful element of charm. 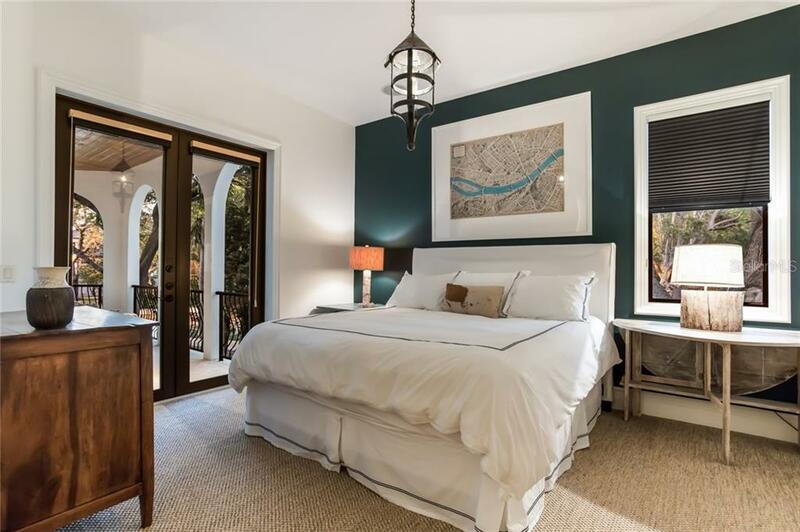 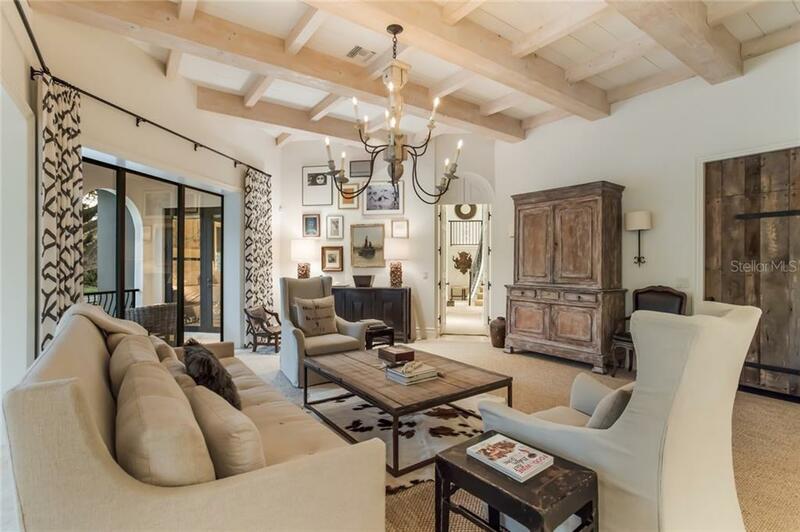 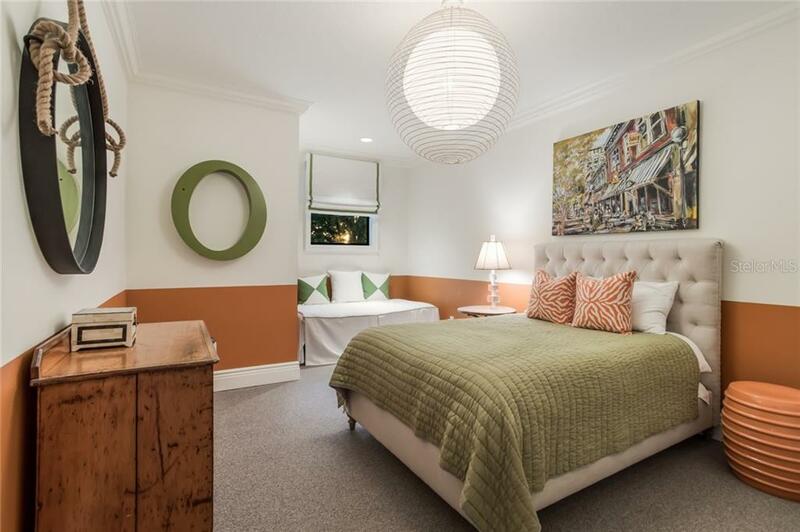 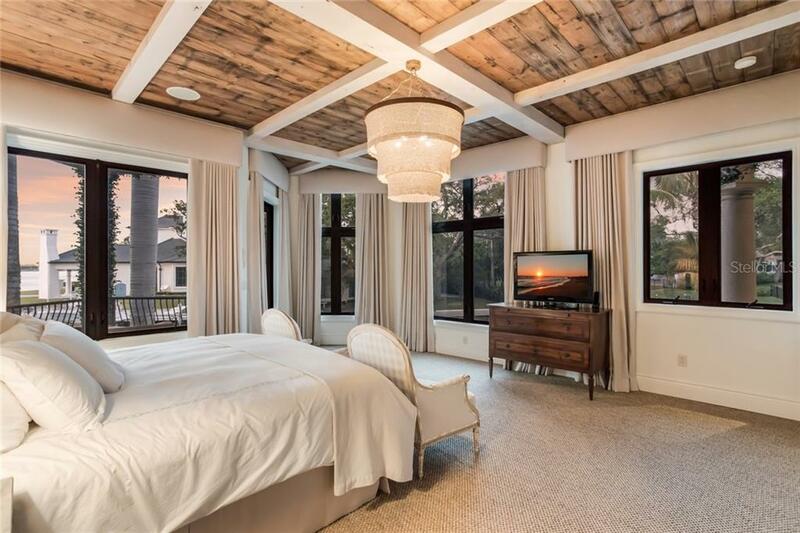 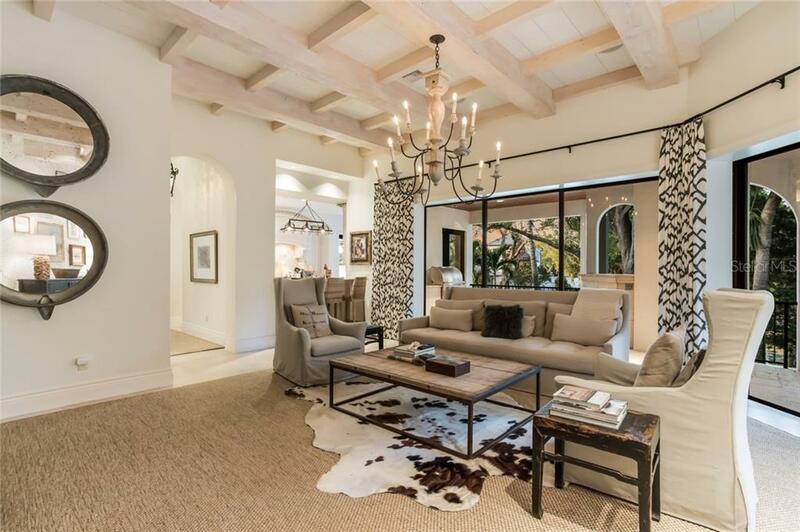 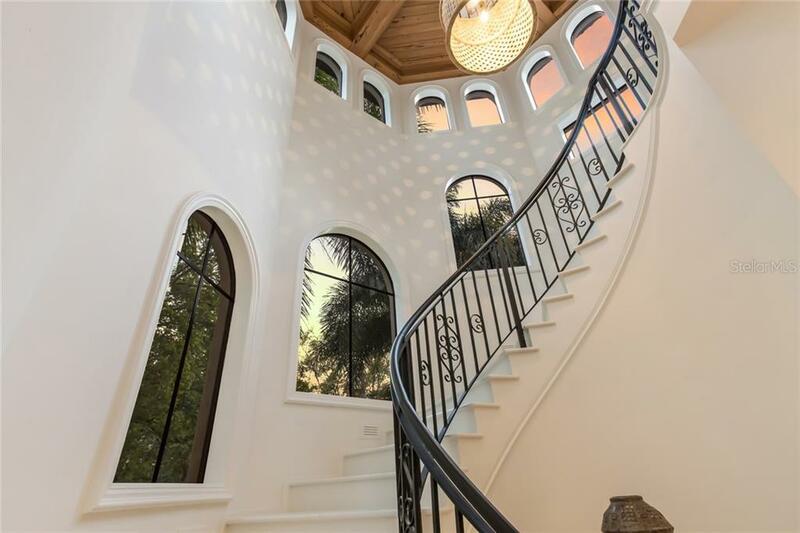 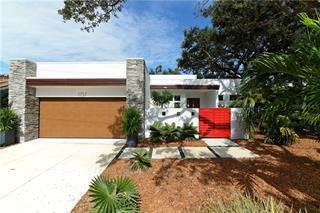 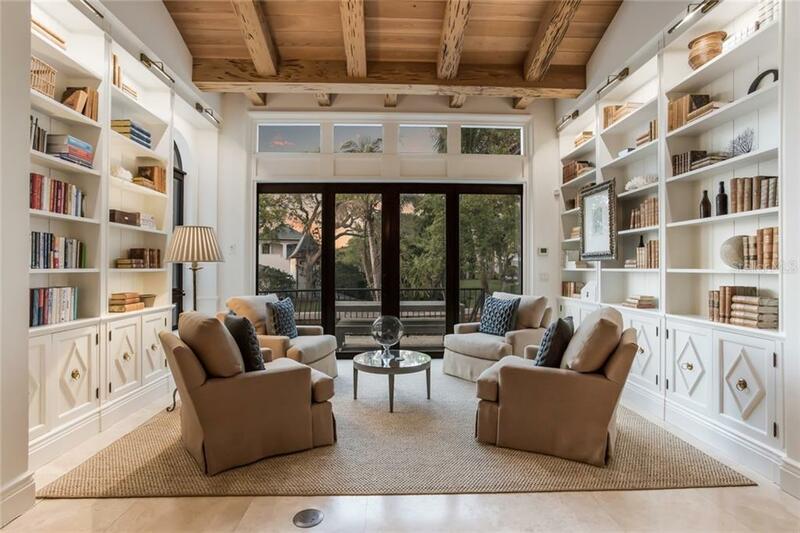 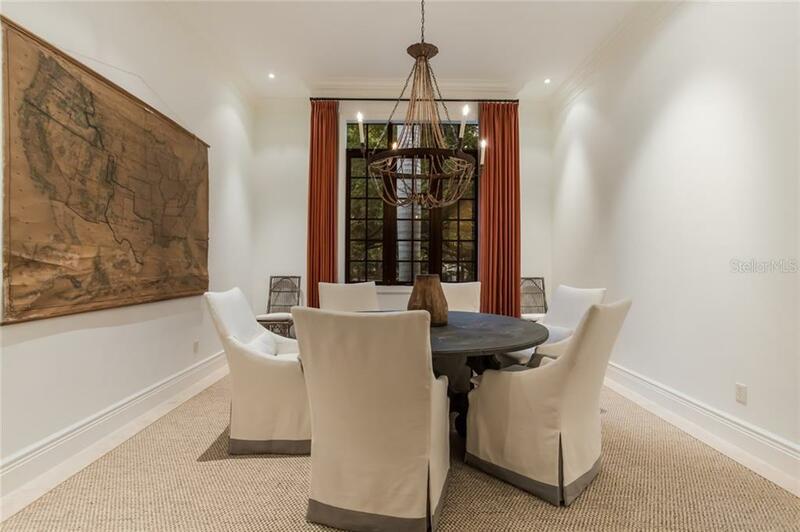 This stunning home expertly blends a Spanish/Mediterranean flair with contemporary decor. 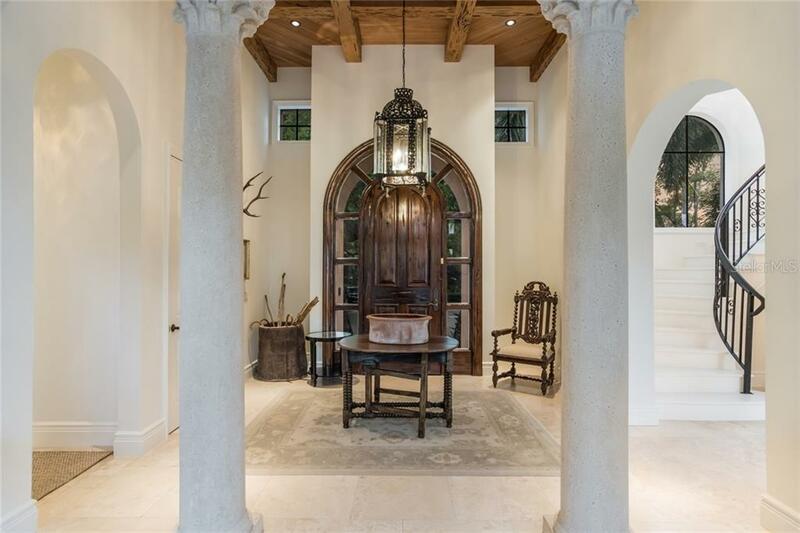 Beautiful custom finishes include Travertine and hardwood flooring, cathedral tongue-and-groove ceilings with exposed beams, tailored built-ins, arched walkways, Lutron lighting, storm-impact windows and sliders, temperature-controlled wine room, stone columns, crown molding and designer fixtures. 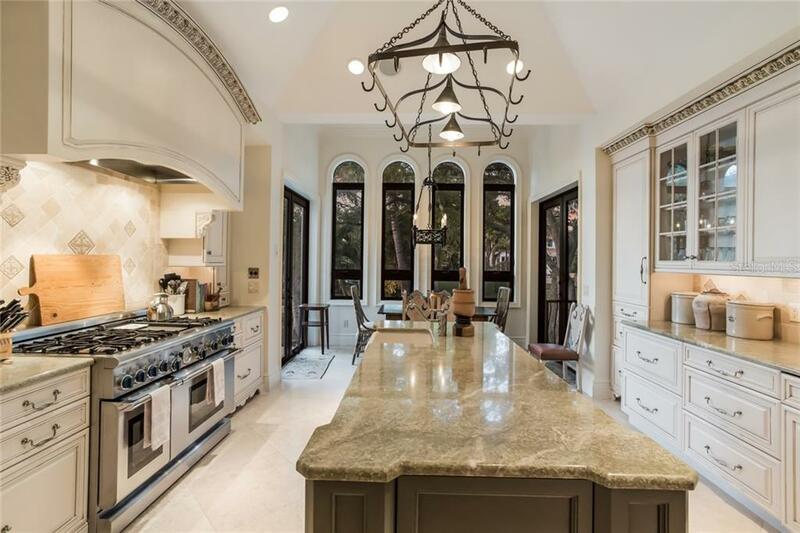 Delight in the expanse of the layout, with formal dining a few steps from the living and family rooms, walls of glass sliders/French doors that open to elaborate outdoor entertaining, as well as secluded separate master and guest wings. 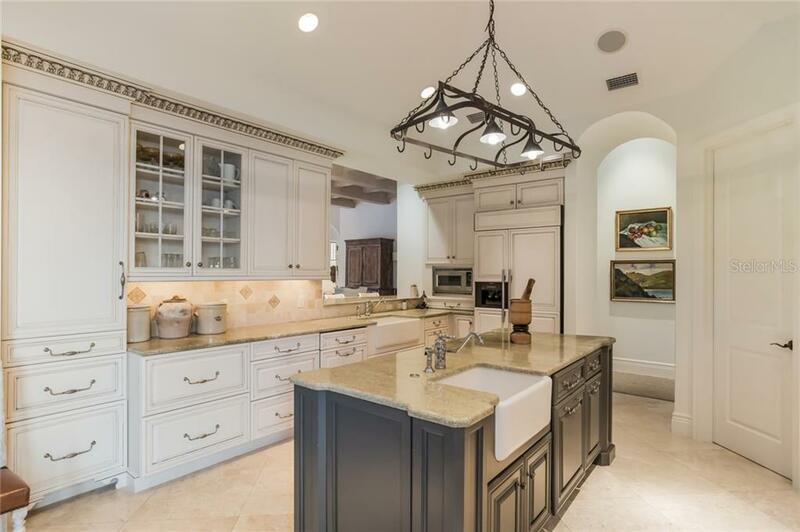 The gourmet kitchen is a chef’s dream, featuring designer cabinetry, 8-burner gas Wolf range with double ovens, two farmhouse sinks, extended island, breakfast bar, café nook, plus Butler’s and walk-in pantries. 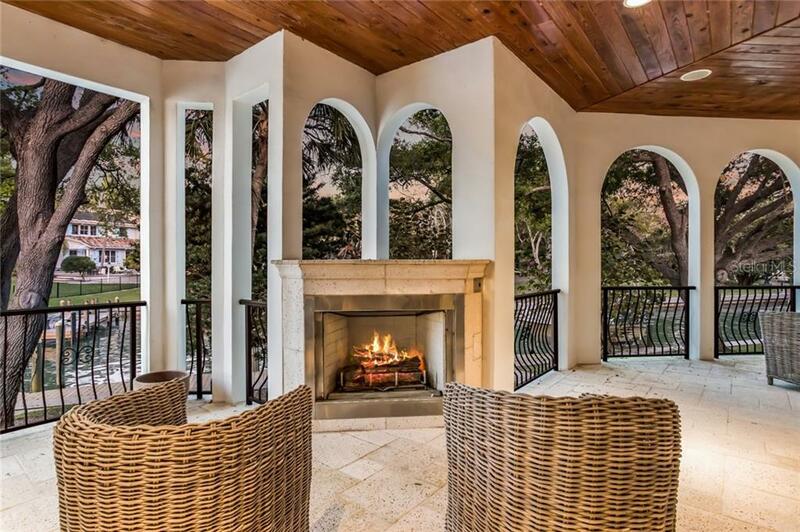 Pocketing sliders bring the outside in for effortless entertaining on the first level of the terrace. 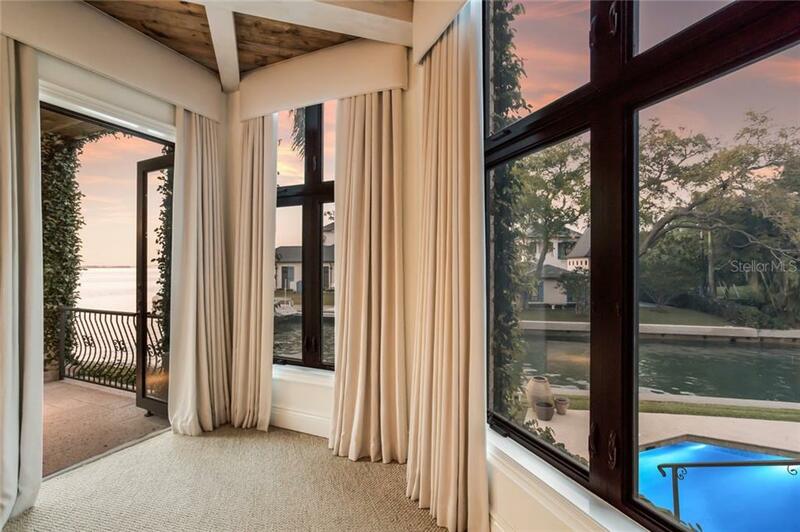 Heated swimming pool, spa, sunbathing areas are only steps away from dock and lifts on sailboat waters.